In calculating personal injury compensation, our experience pays. 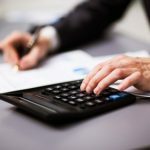 Calculating how much compensation might be awarded for a personal injury claim is quite straightforward for a personal injury solicitor. If you have been injured due to no fault of your own but of the fault of a third party then you may have the legal right to make a claim for personal injury compensation. Making a claim is much more straightforward than people think especially when a personal injury solicitor is appointed to oversee the case. A frequently asked question we receive is how much compensation will I get for my personal injury? By telling your solicitor how that accident came about and why you think the third party is responsible a well experienced personal injury solicitor will be able to advise you straight away whether you have a claim for personal injury and give an assessment of how much compensation you can claim for. The term personal injury is a broad term that represents many different areas such as road traffic accidents, accidents at work, slip, trip and falls etc. If you feel that the injury you have sustained or the illness that you have acquired is due to the negligence of another do not hesitate to call us and we will ensure you get the compensation you deserve. Deciding whether or not to make a personal injury compensation claim can be the hard part, once the decision is made the next steps are a lot easier. We offer all potential clients the opportunity to have a free and confidential consultation so that they can have their case reviewed and evaluated before entering in to any legal litigation without any commitment to appoint our law firm us as your representation. We appreciate that being harmed by another due to their negligence can be a trying and worrying time that is why we are here to help you on a personal and professional basis. 3. How To Start A Personal Injury Claim? 4. What Is Needed To Pursue A Personal Injury Claim? 5. What Can I Claim For In A Personal Injury Compensation Claim? 6. How Much Compensation Will I Get For Personal Injury? A person can make a personal injury claim for a variety of reasons. The most common types of personal injury claims come from those that are injured in road traffic accidents, accidents that happen while working, and slip and trips that happen in public areas. It is fair to say that such accidents can happen and there will be nobody to blame, they are just ‘accidents’. However if such accidents happens that would not have happened had it not been for the fault of a third party then you have the right to make a claim for compensation. Personal injury does not necessarily mean that a person has been injured and has sustained a physical injury, it also covers people who have become ill as a result of the negligence of another. If you think that you’ve become ill as a result of another, maybe your work place was unsuitable and unhealthy and as a direct result it has made you ill then you have a good case for a personal injury accident at work claim. We are aware that for people wanting to pursue a personal injury claim, compensation, is just part of it, making a claim for personal injury can mean that hopefully you will be put back in to the position physical, health wise and financially to the place that you was in before the accident took place. Making a claim can also mean that you can have access to rehabilitation and physiotherapy so that your road to recovery can be sped up and you can return to your usual life. How To Start A Personal Injury Claim? As personal injury solicitors we always advise those that want to pursue a personal injury claim to do so with the help of a legal professional for the simple reason that they will be the ones who will ensure that your personal injury case reaches is maximum potential. We have a long standing respect in the legal industry for ensuring that our clients receive not just a tailor made service so that all the client’s needs are met but for the expertise and knowledge we have among our solicitors. We have decades of experience working with people who have had many different injuries and illnesses caused by the negligence of another and therefore have the knowledge needed to ensure that your case receives the compensation it deserves. Cases of personal injury can be complicated especially to the untrained eye however pursuing a personal injury compensation claim through us could not be simpler as we handle all the complex and difficult parts of the claim so that you can put all your energy in to recovering and getting back to your normal self as soon as possible. We do not shy away from hard work and see a complicated personal injury case as a challenge. The first steps to starting any personal injury claim is choosing a law firm in which you would like to be represented by. How we begin is by offering any potential client the opportunity to have a free and confidential consultation where they can gain free legal advice on how best to move forward with their case. Even if a person goes through the free consultation they are at no point required to appoint us as their representative, we offer the consultation so that people can gain as much legal information as possible before entering into any personal injury claim. After the consultation is finished you can either decide to start your claim if you have been advised that you have a valid and potential personal injury claim or you can have as much time as you need to decide on how to proceed next. If you wish for us to represent you we would need to take further information. What Is Needed To Purse A Personal Injury Claim? Personal information – the solicitors will take information regarding personal details such as name, address, DOB etc in order to start compiling a personal file. Information of third party – information regarding the third party i.e. who you believe is to blame for the injury or illness you have sustained. In regards to a road traffic accident, RTA, it is vital that you manage to get the registration details of the person/person’s who you think is at fault, get as much detail as possible as it will mean that your case will be more straight forward. If the personal injury is a work related injury then your company name and address is sufficient and in terms of slip, trip and falls the name or place or where it happened. Identification – personal identification of yourself will also be needed in terms of passport, driving licence, and proof of address. Photographs – images are a really important part of proving your case, they can show how it may have happened, where it happened, in some cases the severity of the incident and also images of injuries that have been sustained. – RTA’s if possible images of the scene are important or possible sketches, images of the damage to vehicles both yours and any others involved and also images of injuries. – Slip, Trip and Falls it is important that photographs are taken of the area in which caused slip or trip especially if it was a raised curb measurements will also will need to be taken. If the defect of the raised curb is less than 1 inch in depth then there may be no case. Knowing specifically where the slip or trip took place is important so if possible have recognisable objects or numbers such as a door number in the image. – Accidents at Work – these may require photographs of particular parts of the work place, machinery or hazardous objects which as resulted in your personal injury. – Industrial Disease – medical evidence is required to prove your case. Documentation – if police or medics attended the scene copies of their reports are very important however these can usually be accessed by the solicitor requesting them. Police reference numbers if they attended the scene are vital so that further documents can be ascertained. Out of Pocket Expenses – receipts or images of any out of pocket expenses that have occurred due to the incident that has taken place. Having all the correct and precise information along with relevant documentation will ensure that any personal injury case will have a good foundation. It seems unfair but it is up to the claimant to prove and provide evidence to support their claim and to prove that the third party was at fault. The more valid documentation that can be presented the more likely a case is to succeed and with maximum potential gaining you the compensation you deserve. What Can I Claim For In A Personal Injury Compensation Claim? Each case of personal injury has to be looked at on a personal basis as no two personal injury cases are ever exactly the same. Although some cases may appear to be very similar in reality when it comes to special damages i.e. personal financial circumstances, they will warrant different amounts of compensation as each person has a different financial status. Calculating how much compensation for a personal injury precisely can only be done so when the victim of the incident has been examined by a medical examiner and all out of pocket expenses have been calculated. Attaching any type of amount to a personal injury claim is near on impossible at the very beginning of the case as both general damages and special damages need to be calculated (please see below). We fully appreciate that any type of personal injury can take a toll on a person’s life, the smallest of injury or illness can cause disruption as well as psychological effects that is why personal injury compensation was introduced. It was felt that those that suffer due to the negligence or fault of another should be compensated for their pain and suffering along with any financial expenses that they occur. The law states that the victims of personal injury have a legal right to be able to make a claim for compensation as they would have not been injured or incurred an illness if not for the negligence of a third party. However the law strongly emphasizes that personal injury compensation is not for personal financial gain, it is there so that the claimant can be put back into the position financially and health wise that they was in before the incident took place. Each and every person is different and suffer in different ways. It is difficult to judge or calculate how much a person is suffering or has suffered. People’s pain thresholds differ so a person who may have been injured in a similar way as another may experience different levels of pain. When calculating a personal injury compensation amount in terms of general damages solicitors will use medical evidence from a medical expert along with personal injury amounts awarded in past similar cases in order to be able to award an accurate amount of compensation. Compensate the victim of personal injury for quantifiable money and financial losses that have occurred as a direct consequence of the accident. Loss of earning present, past and any future earnings that are lost. Loss regarding future job opportunity, pensions career development. Any rehabilitation that is needed. How Much Compensation Will I Get For Personal Injury? The table below illustrates the amount of compensation that may be awarded depending on the injury and how severe that injury may be. The amounts given have been estimated using the guidance given by the Judicial Study Board (JSB) which sets out figures in terms of compensation amounts for different injuries and illnesses that can occur. However it is vital that you understand that the amounts shown are only personal injury compensation amounts that are awarded for the injury itself and may not take in to consideration any financial matters as it is near on impossible to estimate the overall amount a person would receive without knowing how they will be affected financially, as each person has their own person financial circumstances. Achilles Injury Extremely Severe £19,920 - £30,630 A severed achilles tendon, restricted ankle movement. Achilles Injury Moderate £10,040 - £16,800 Partial rupture of the achilles tendon/significant injury. Considered factors include treatment nrequired, level of pain and suffering, any disability. Achilles Injury Mild £5,800 - £10,040 Some damage to the achilles tendon where support to the ankle may be affected. Ankle Injury Extremely Severe £39,910 - £55,560 The most severe ankle injuries that may cause deformity, degeneration of joints, and potentially amputation. Ankle Injury Moderate to Severe £10,960 - £39.910 Fractures, extensive treatment, disability are just a few factors that will be considered when calculating the level of compensation for ankle injuries in this bracket. Ankle Injury Mild Up to £10,960 Less serious ankle injuries such as ankle fractures, ankle sprains. Factors considered would be amount of recovery, aching, scarring etc. Arm Injury Extremely Severe £76,650 - £239,140 This range of compensation covers the amputation of both complete arms, the amputation of a single arm, or whether an arm is amputated partially or completely. Future restrictions will also be considered. Arm Injury Severe £31,220 - £104,370 For major restriction and disability present in one or both the arms and causes significant pain and suffering. Arm Injury Less Severe £5,280 - £31,220 The range shown is set for persons who have suffered a restriction in movement and/or disability in the arms but there is substantial recovery. Simple forearm fracutres would expect to be at the lower end of the bracket. Back Injury Severe £30,910 - £128,320 Severe injury to the upper or lower back, possibly causing paralysis or any relating issues to organs in the lower parts of the body. Back Injury Moderate £9,970 - £30,910 This range of compensation amounts might cover a wide range of back injuries such as compression of the lumbar vertebrae, ligament or soft tissue damage, any constant pain and/or any discomfort. Back Injury Mild Up to £9,970 For less serious back injuries such as strains and sprains, soft tissue injuries, a slipped disc, muscle pain. Factors such as recovery time and treatment would also be considered. Ear Injury Extremely Severe £72,320 - £87,410 Complete loss of hearing because of the injury. Ear Injury Moderate to Severe £24,950 - £36,310 Complete hearing loss in one of the ears. The final compensation amount will depend on how the hearing loss affects the person. Ear Injury Mild £££'s - £36,310 This range of compensation is awarded for hearing loss in one or both ears and for those that now suffer with tinnitus because of the injury or the work environment. Elbow Injury Extremely Severe £31,220 - £43,710 Total restriction in elbow movement that has now caused a disability or that has needed surgery. Elbow Injury Less Severe £12,480 - £25,510 Because of the injury to the elbow there is now restriction of movement in the arm but doesn't cause significant disability and major surgery is not required. Elbow Injury Mild Up to - £10,040 An injury to the elbow that is mild to moderate which now causes pain but total movement will be possible. Eye Injury Extremely Severe £43,710 - £214,210 Loss of sight in one eye and some loss in the other, or loss of sight in both eyes will receive the maximum compensation. Eye Injury Moderate to Severe £7,270 - £43,710 This range of injury compensation is awarded with very restricted vision in a single eye or loss of sight in one eye. Eye Injury Mild £1,760 - £6,960 Pain in an eye, vision problems or temporary loss of vision in an eye. Face Injury Extremely Severe £14,320 - £77,580 Facial disfigurement and severe scarring might warrant somewhere in this range of injury compensation. The severity of the injury shall determine how much compensation is awarded. Face Injury Moderate to Severe £1,850 - £36,310 This compensation range covers simple fractures to multiple fractures and breaks to the facial area, for example the nose. Face Injury Mild £1,360 - £23,980 These amounts cover less severe scarring to what might be considered trivial scars. Finger Injury Mild - Severe £££'s - £29,290 As compensation can vary so much depending on which fingers are damaged, the severity of the injury, whether there is impaired grip etc we would advise contacting us to discuss what kind of finger injury you have. Foot Injury Extremely Severe £66,930 - £160,600 This range covers the amputation of one or both feet and how it might affect the persons life. Foot Injury Moderate to Severe £10,960 - £55,830 Severe injury to one or both feet that causes restriction, fractures or disability to the foot. Foot Injury Mild Up to £10,960 Covering injury to a foot that will recover. Hand Injury Extremely Severe £11,520 - £160,600 This range of compensation amounts shall cover the amputation of one or both hands or if a hand is made completely useless due to the injury. Hand Injury Moderate to Severe £4,640 - £10,580 Crush injuries to the hand, penetrating wounds, deep laceratons. The upper end of the brack would be in cases where the claimant has been left unable to use a hand properly. Hand Injury Mild £730 - £3,460 Minor soft tissue damage, penetration wounds, crush injuries wehere recovery time is usally 6 months or less. Head Injury Extremely Severe £224,800 - £322,060 Victims who are unresponsive due to severe brain damage and are unresponsive or what might be referred to as a vegetative state. Head Injury Moderately Severe £174,620 - £224,800 Servely disabled from brain damage, lost feeling in limbs, change in personality and/or a mental disability. Head Injury Moderate £34,300 - £174,620 Cases where memory may be affected with a reduced ability to work to more severe cases where there is no chance of being able to work, change in personality, high risk of epilepsy. Head Injury Mild £1,760 - £10,180 Head injuries which haven't caused brain damage or very minimal brain damage but the head injury might still have lasting effects. Knee Injury Severe £20,880 - £76,690 Disability because of a knee injury, major damage to muscles, muscle wastage and soft tissue damage. Knee Injury Moderate Up to £20,880 Minor disability because of the knee injury, damage to the muscle, cartilage, soft tissue, that causes pain and suffering. Leg Injury Extremely Severe £78,100 - £224,800 Amputation of one or both legs. The compensation range also takes into consideration should the leg have been amputated below or above the knee. Leg Injury Moderate to Severe £22,130 - £76,730 Injuries to the leg which has caused restriction in movement and disability that might have a life long prognosis. Leg Injury Less Severe Up to £22,130 From simple leg fractures, breaks or soft tissue damage which has affected the muscle to leg fractures with an incomplete recovery. Neck Injury Extremely Severe £36,240 - £118,240 Very severe neck injuries, those causing movement problems to other parts of the body. Neck Injury Moderate to Severe £6,290 - £30,690 Neck fractures, causing pain when moving, causing stiffness and inability to use the full movement of the persons neck. Neck Injury Mild Up to £ 6,290 Whiplash type injuries, can depend on the length of time the injury lasts, how painful the injury is and what the long-term prognosis is. Shoulder Injury Severe £10,180 - £38,280 Paralysis, limb numbness, restriction in movement because of the injury in the neck and shoulder. Shoulder Injury Moderate £6,290 - £10,180 Neck tissue damage that might last for a considerable length of time and that restricts the movement in the eersons arm and elbow. Shoulder Injury Mild Up to £6,290 Damage to soft tissue that should recover within the year or slighly longer, and causes or has caused moderate pain. Toe Injury Mild - Severe £££'s - £44,710 As compensation can vary so much depending on which toes are damaged, whether walking is impaired etc we would advise contacting us to discuss what kind of toe injury you have. Wrist Injury Mild - Severe £2,810 - £47,720 This brack covers a wide range of wrist injuries, from simple wrist fractures to injuries that have resulted in a complete loss of function . *Please note that it is important not to take any figures above as fact as they are mere estimates of what compensation a claimant of personal injury may be entitled to and may not include any special or financial damages. They are given as guidance only for victims or claimants of personal injury to use them as guidelines. Each case of personal injury differs in some aspect to another, although cases on the surface may appear the same especially when it comes to general damages i.e. pain and suffering as certain brackets of compensation amounts are already set out. However a person‘s personal circumstances such as loss of earnings or financial expenses can vary among victims of personal injury therefore personal injury compensation amounts cannot be truly estimated until all aspects are taken in to consideration. Why Choose Us As Your Legal Team? Our law firm are among the leading personal injury law firms in the UK, within our team of professional solicitors who come highly recommended and have many years experience. We absolutely pride ourselves on the service that we give to each and every one of our clients. No client is referred to as a reference number as we like to build a good personal foundation with each of our clients who entrust us to pursue their personal injury case for them. There is no doubt that any person who has experienced personal injury will suffer as a consequence whether it be mentally or physically and that is why we offer a personally tailor made service that suits the need of the individual and do not make any pre-assumption about a case on the basis that it may be similar to a previous case. Putting the client first and ensuring they are happy with how the case is being run is our main priority. Personal injury cases can become complicated especially if liability is disputed, however if we have took your case on in the first place we must feel that you have the right to claim compensation and will ensure that we put a 100% effort in gaining you the compensation you deserve. We will keep you in the loop at all times so that you are aware of all the steps that we are taking to secure the maximum amount of personal injury compensation. You can contact us at any time and we will endeavour to respond to your query or question as soon as possible as we are working for you and know that going through any type of personal injury case can put a strain on your life. We have an outstanding reputation among our piers and clients. Many past and present clients are more than happy to recommend us to friends and family. We have a well experienced staff many of whom have many years experience in dealing with all kinds of personal injury claims and we will not shy away from even the most complex and multidimensional of cases. We are confident in all the cases that we handle so much so that we offer 99 percent of all personal injury clients a No Win No Fee agreement. This means that at no point will our clients be at financial risk. Our No Win No Fee solicitors are there to answer any questions or queries you may have no matter how big or small you think they may be, do not hesitate to contact us on 0800 6524 881. We will always ensure that we offer you the service you require ensuring that all your requirements are met and without a doubt we always strive to get you the maximum amount of compensation for your personal injury claim.